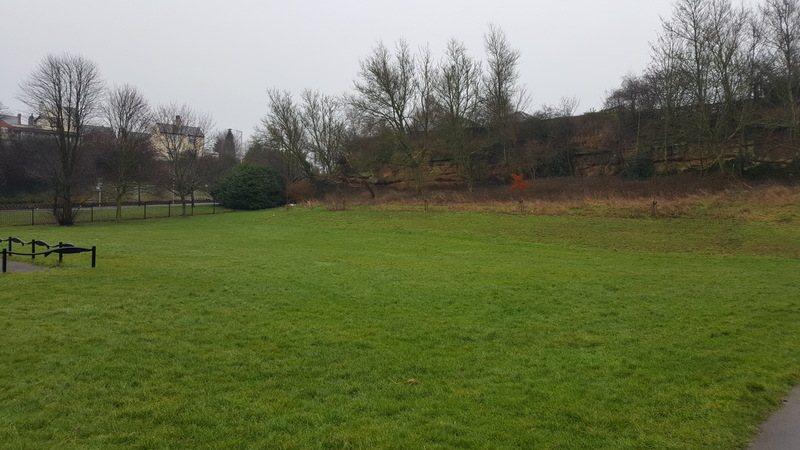 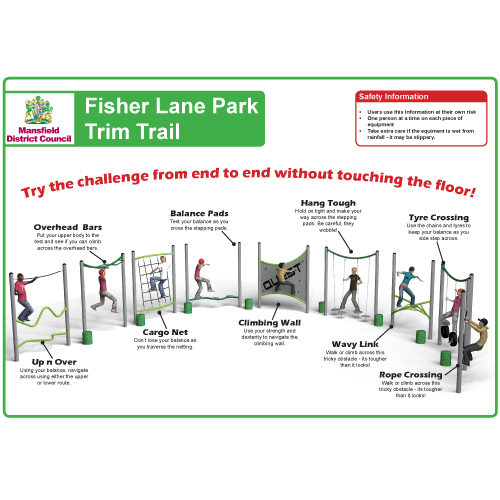 In December 2017, Play & Leisure were invited to tender and meet with the Parks Development Officer of Mansfield District Council to discuss provisions for a trim trail at Fisher Lane Park in Mansfield. 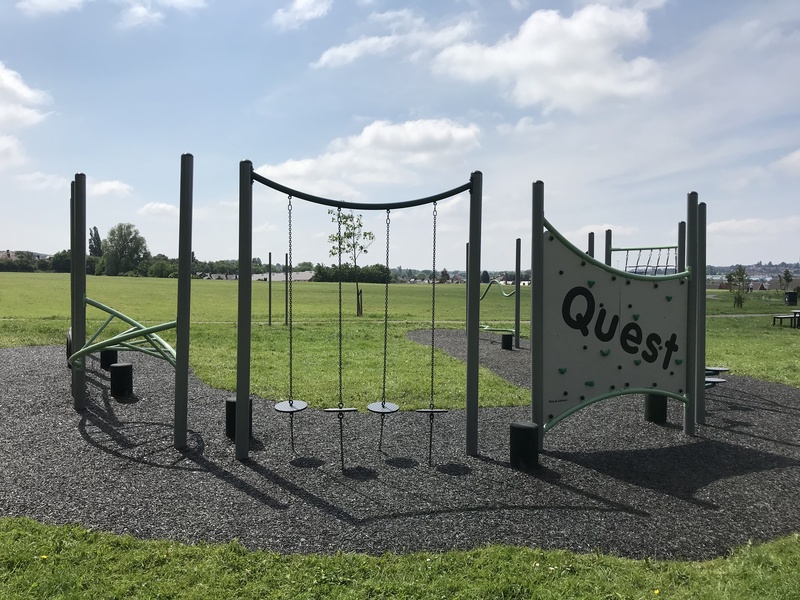 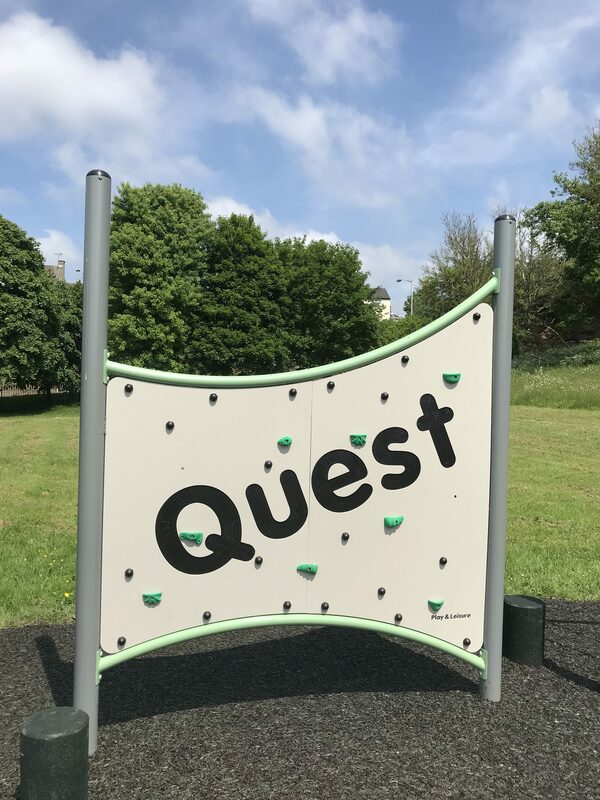 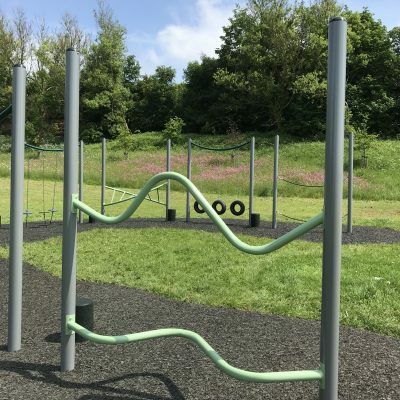 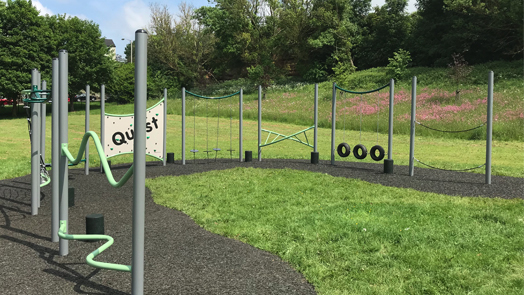 Several suppliers were invited to meet with the officer at the Park and, in March 2018, Play & Leisure were contacted to be told we had been granted the opportunity to supply and install the trim trail. 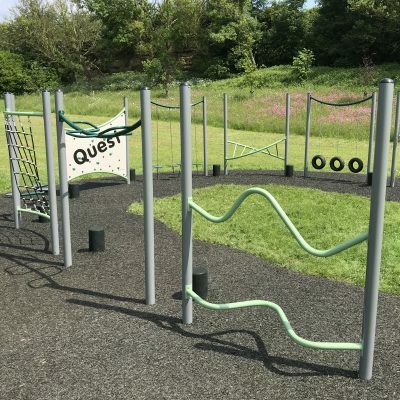 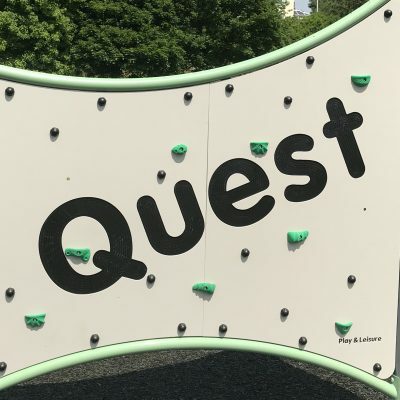 The brief explained that the equipment they were looking for would be aimed more towards the older children so Play & Leisure decided to do a bespoke design, taking pieces from our Quest Range and positioning it into a horse-shoe shape with lots of challenging trials to push the children to test themselves. 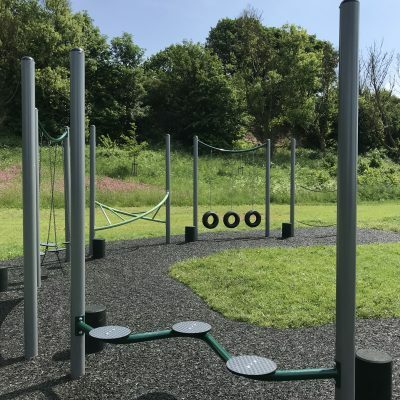 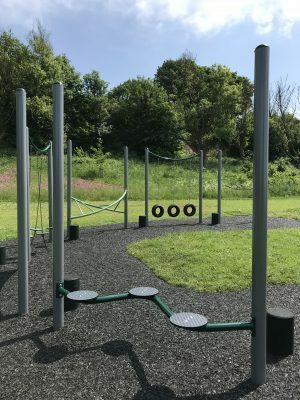 The bespoke unit consisted of a Climb Wall, Chain Walk, Balance Pods, Wave Link, Cargo Net, Overhead Bars, Hang Tough, Up & Over, Tyre Crossing and 400mm High Stepping Stones; keeping the kids entertained for hours!